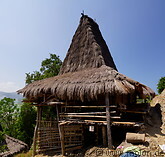 Waigalli is a traditional village built on a hiltop along the southern coast of Sumba. 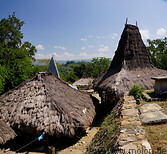 It consists of a few houses built in traditional Sumbanese style, with peaked and thatched roofs, surrounding a central square with megalithic tombs and other stone structures. 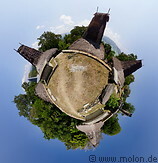 The village oversees the surrounding plains.